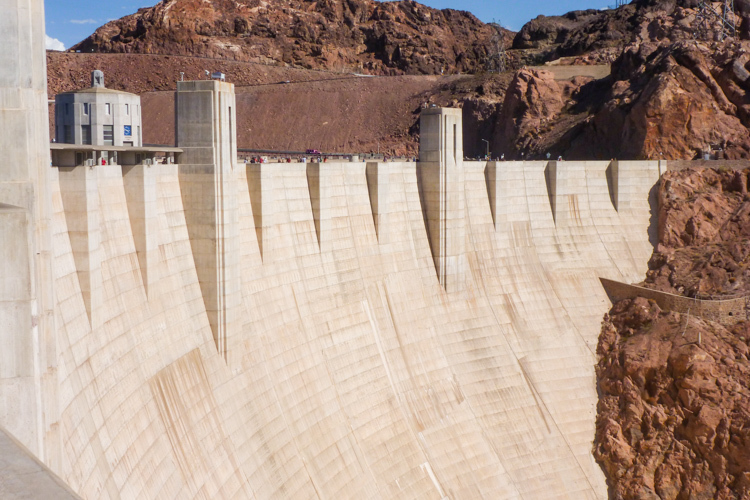 I recently visited the ever-impressive Hoover Dam, taking some time to appreciate the vision and ingenuity it took to “Make the Desert Bloom” with the creation of the dam. 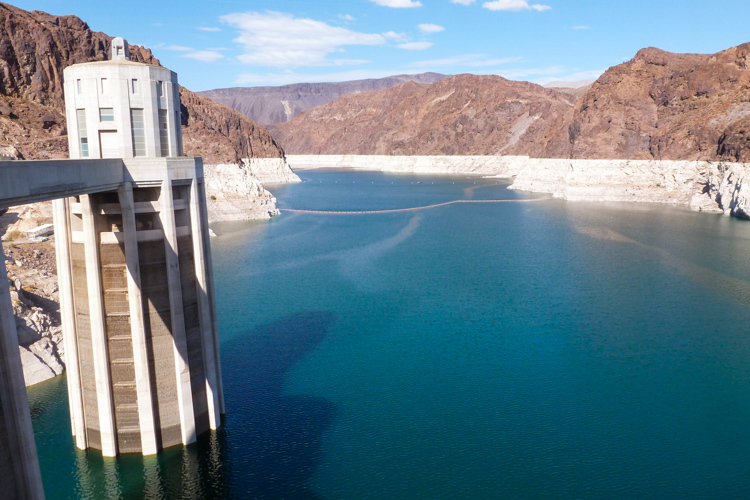 The dam is only 30 miles from Las Vegas, so if you’re in the area, you should visit. The dam was built by over 5000 engineers and laborers who overcame huge obstacles to achieve something so monumental. And they got it done 18 months ahead of schedule and under-budget. The dam was entirely paid for (and continues to be maintained) by selling the power it generates. 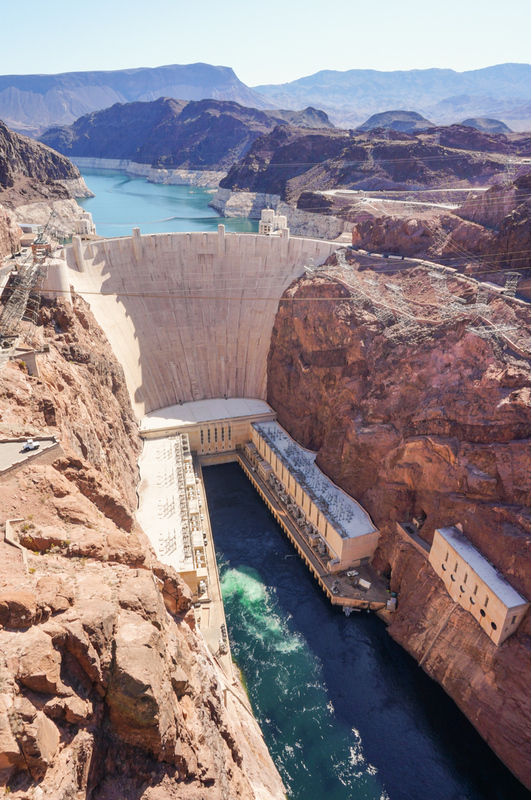 If you live in California, Nevada or Arizona, the Hoover Dam provides you with a portion of your electricity. It was a task of unprecedented scale, complexity, and cost. It weighs over 6 million tons, as much as 18 Empire State Buildings. It stands 726 feet tall and was made with 3.25 million cubic yards of concrete. Numerous innovations advanced the science of construction, which to this day are some of the most sophisticated engineering accomplishments ever. Did I mention that they had to re-reroute the Colorado River to achieve all this? 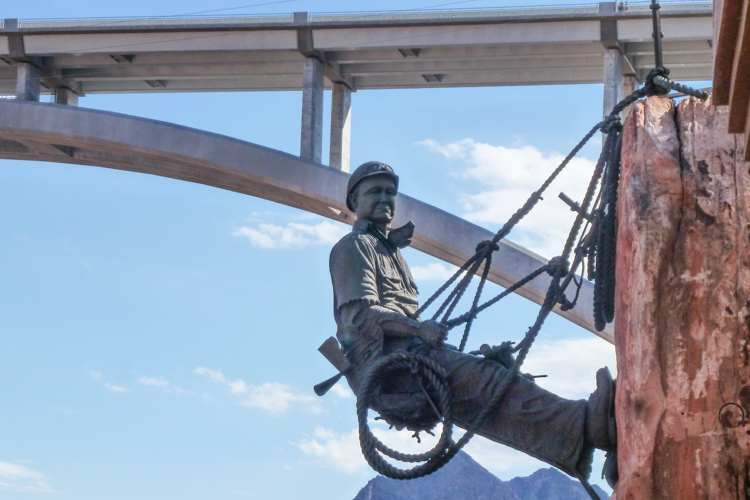 In 2010, the dam was joined by a new engineering marvel, the Mike O’Callaghan-Pat Tillman Memorial Bridge (above). 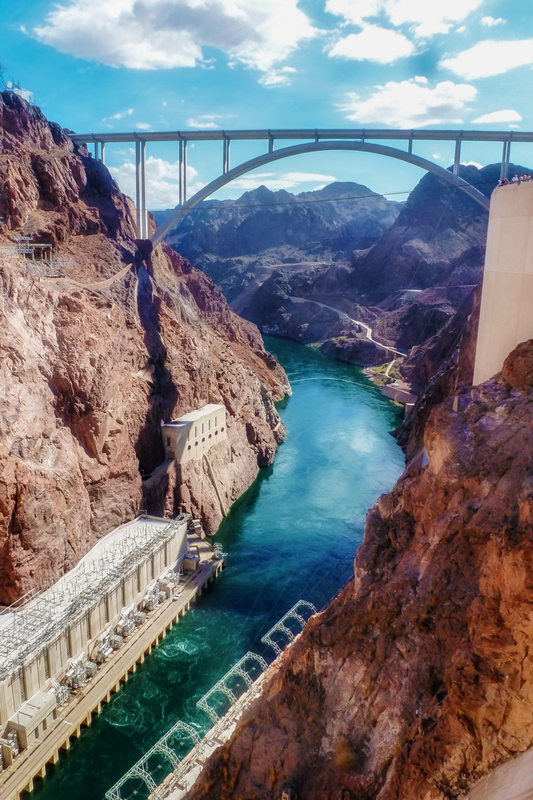 It straddles the Colorado river between the states of Nevada and Arizona. 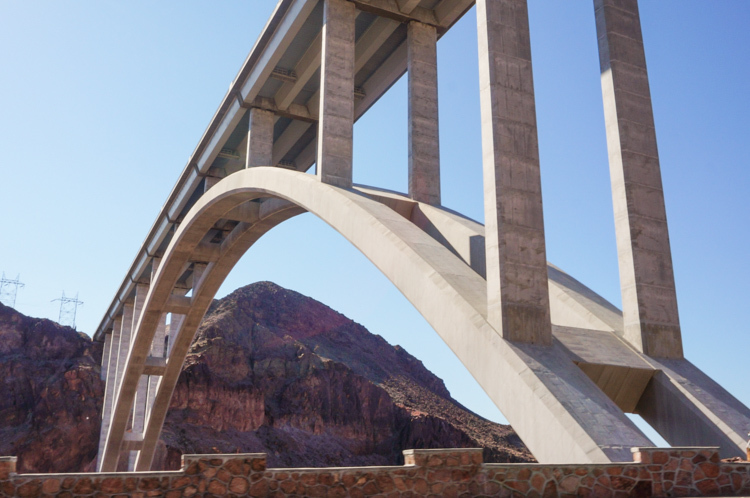 It is the second highest bridge in the United States, the highest concrete arch bridge in the world, and the widest concrete arch in the Western Hemisphere. 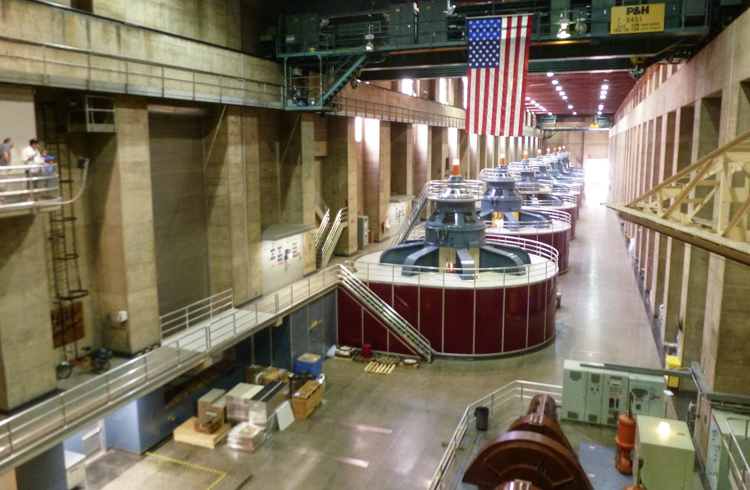 The guided tour takes you into the depths of the dam (530 feet down) to see the generators. Admission is $11 per person. 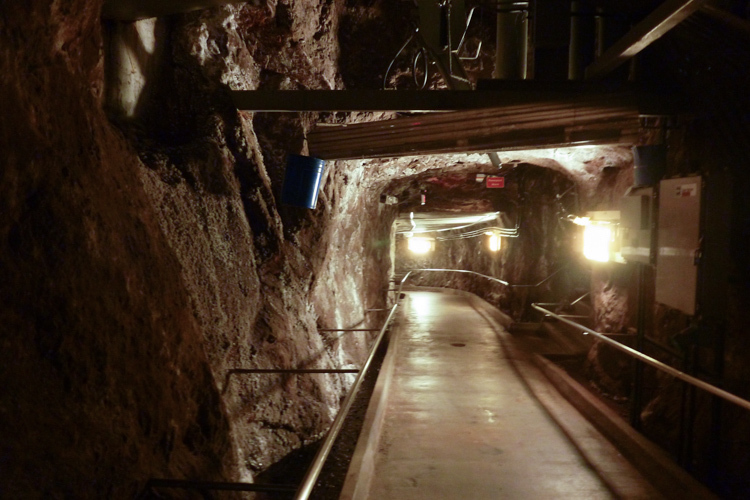 This underground tunnel was built in the 1930s. The dam’s designers understood that this was a great public work that visitors would want to experience. 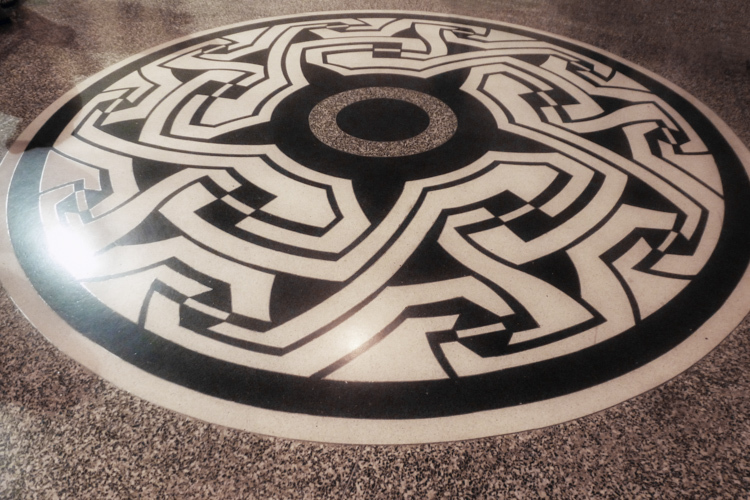 They tasked Denver artist Allen Tupper True with designing the walls and floors of the dam with some very inspiring art. Into the walkways of the dam interiors, he incorporated images and colors based on the Native American visions of rain, lightning, water, clouds and wildlife – which he merged with concepts of the machinery and generators in operation, so the patterns appear both ancient and modern. Hotels on the Las Vegas Strip are a 30-minute drive from the Hoover Dam, Expedia always finds me the best room rates. When I stay at the Paris Hotel for 2 or more nights, I get a great discount and if I’m lucky I’ll get a room with a view of the Bellagio water fountains. 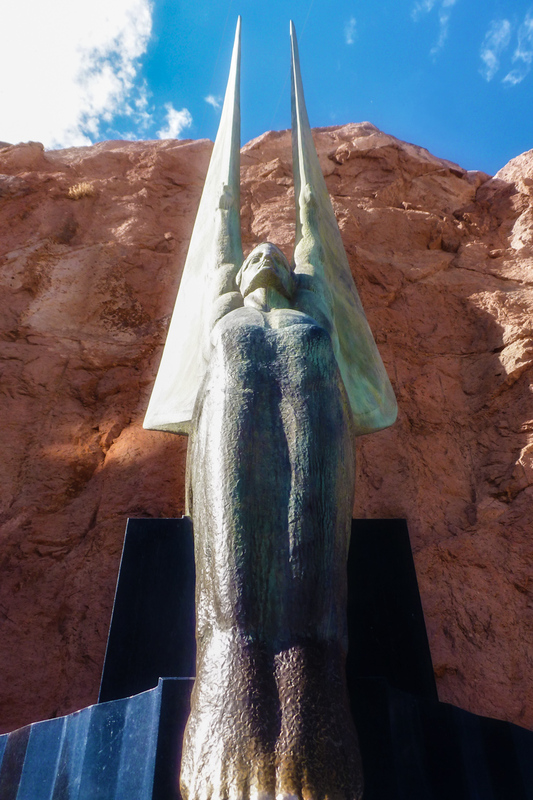 If you want to avoid the Vegas Strip, I recommend staying in Boulder City which is just minutes from the Hoover Dam. My favorite hotel there is the Boulder Dam Hotel which offers great rooms, free parking, wifi and breakfast. Use your AAA Membership for discounted room rates and you can usually get a room for $80. If you seek a luxury hotel but want to avoid the Vegas Strip, I highly recommend staying at the Green Valley Ranch Resort and Spa. 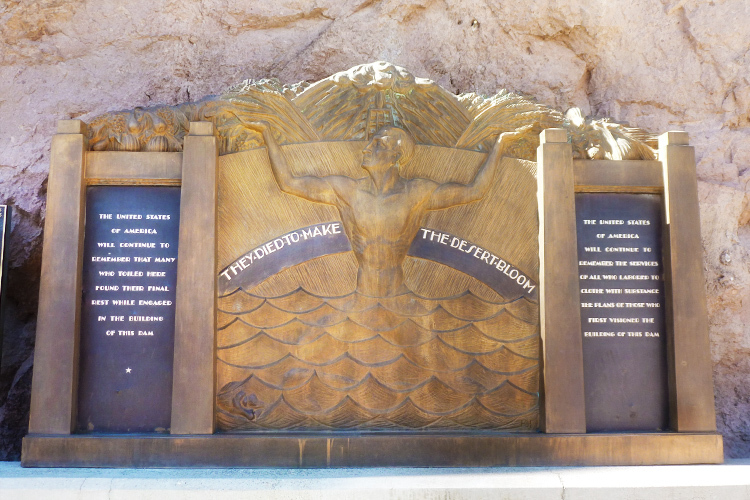 It is located in Henderson, also a 30-minute drive from Hoover Dam. They have luxury rooms and suites, three restaurants, six bars and lounges, a casino, pool and spa. Room rates range from $90-$275 per night. A 2-night stay, mid week, will get you $150 in spa and restaurant credit. Again, use your AAA Membership! 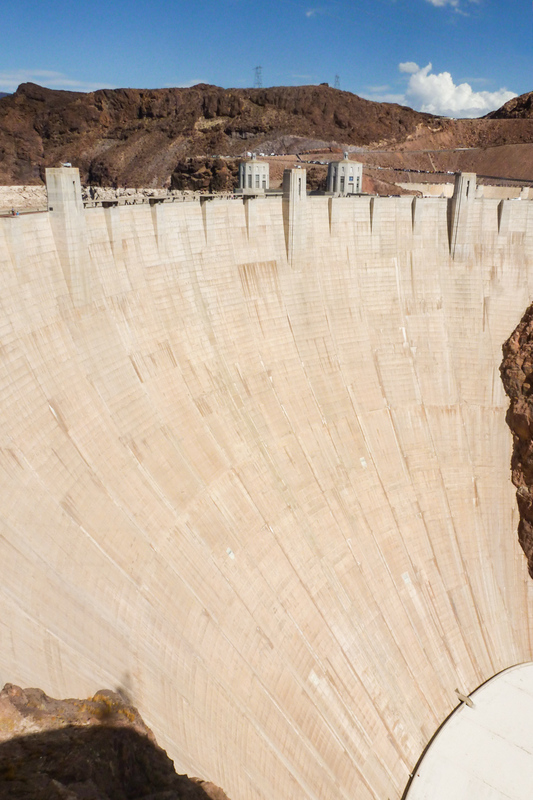 Groupon offers tickets for the Hoover Dam Tour for $45 per person (44% Off). The Tour Company will pick you up from your hotel in downtown Vegas, Henderson or Boulder City in an air conditioned motor coach. 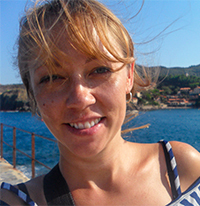 They will take you on the full 2-hour tour of the Dam, then a nearby chocolate factory and botanical gardens. I’ve not done this tour, but logistically it could be a good choice. Check out my easy-access list of discounts on the Las Vegas Strip including hotels, restaurants, sightseeing activities, shows and the best Happy Hours.